Hypertext Preprocessor or simply PHP is a server-side scripting language designed for Web development, but also used as a general-purpose programming language. It was originally created by Rasmus Lerdorf in 1994, the PHP reference implementation is now produced by The PHP Group. The PHP language evolved without a written formal specification or standard until 2014, with the original implementation acting as the de facto standard which other implementations aimed to follow. Since 2014 work has gone on to create a formal PHP specification. 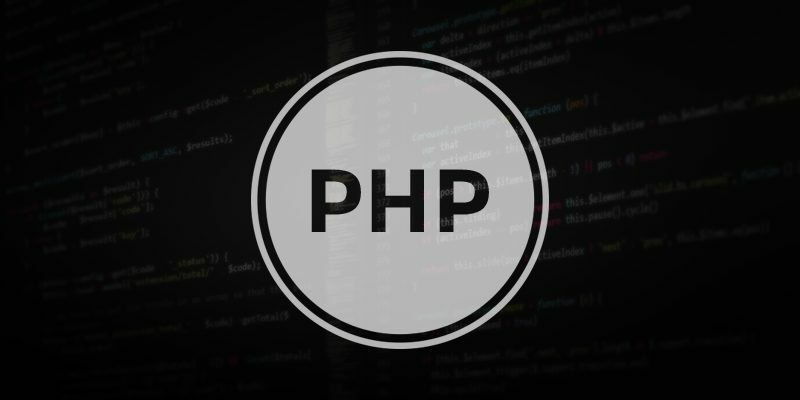 PHP defines a large array of functions in the core language and many are also available in various extensions; these functions are well documented in the online PHP documentation. In lieu of function pointers, functions in PHP can be referenced by a string containing their name. In this manner, normal PHP functions can be used, for example, as callbacks or within function tables. User-defined functions may be created at any time without being prototyped. Functions may be defined inside code blocks, permitting a run-time decision as to whether or not a function should be defined. Unusually for a dynamically typed language, PHP supports type declarations on function parameters, which are enforced at run-time. This has been supported for classes and interfaces since PHP 5.0, for arrays since PHP 5.1, for “callables” since PHP 5.4, and scalar (integer, float, string and boolean) types since PHP 7.0. PHP 7.0 also has type declarations for function return types, expressed by placing the type name after the list of parameters, preceded by a colon. For example, the get-adder function from the earlier example could be annotated with types like so in PHP 7. By default, scalar type declarations follow weak typing principles. So, for example, if a parameter’s type is int, PHP would allow not only integers, but also convertible numeric strings, floats or booleans to be passed to that function, and would convert them. However, PHP 7 has a “strict typing” mode which, when used, disallows such conversions for function calls and returns within a file. Products derived from this software may not be called “PHP”, nor may “PHP” appear in their name, without prior written permission from group@php.net. You may indicate that your software works in conjunction with PHP by saying “Foo for PHP” instead of calling it “PHP Foo” or “phpfoo”. The above is a brief about PHP compiled from different sites. Watch this space for more updates on the latest trends in Technology.